BALIF - THE KINSEY SICKS and ALRP Team UP! THE KINSEY SICKS and ALRP Team UP! 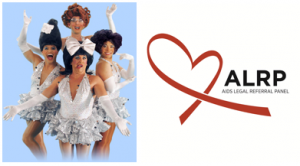 Join us for ALRP Night with THE KINSEY SICKS, America’s Favorite Dragapella Beautyshop Quartet, as they assault all the senses in their musical show THE KINSEY SICKS- GreatesTits at the fabulous Rrazz Room at the Hotel Nikko on Union Square. Please type “ALRP” where it says “Use Coupon.” The page will reload and show a Kinsey Sicks charity code. The dollar value of the coupon will show as $0 because it doesn’t affect the purchase price-but tracks ALRP ticket sales. We hope to see you on August 2nd for ALRP Night with The Kinsey Sicks!